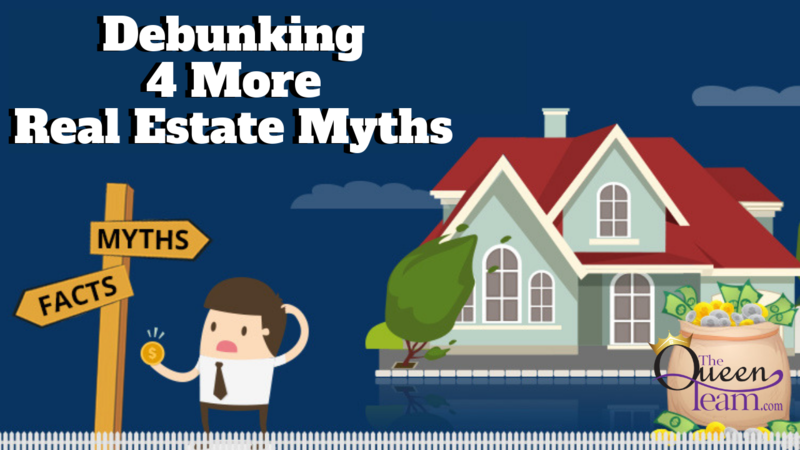 Today I’m back to debunk some more common real estate myths. I’m back today debunking some more real estate myths! We went over the first three last time, which you can see by clicking here, and will go over the next four today. You should choose the listing agent who says they will sell your home at the highest price. In the real estate world, that’s known as buying your listing. A true professional is going to tell you the facts, instead of what they think you want to hear. In fact, listing your home at the highest price could cause your home to sit on the market, causing people to wonder if there is something wrong with it. A true professional is going to tell you the facts, instead of what they think you want to hear. Spring is the best time to sell. While there are a lot of people who wait until spring to list, there are still quite a few people who sell in the winter and fall. There is less inventory on the market during the fall and winter, which increases the demand for homes. In the spring, there is definitely a lot more competition. A cash offer is always best. While a cash offer is definitely a strong offer, it’s not always the best one. There are other elements of a contract that need to be taken into consideration, such as the sales price, contingencies, the timeline to get possession of the home, etc. Many people who come in with an all-cash offer are going to want a better price and they might make the seller feel rushed to get through the closing process. You can sell your home without an agent and save money. It’s true that you technically can sell your home without an agent, but that doesn’t mean you’re going to save money. A real estate professional brings knowledge, expertise, negotiation skills, a client database, and established relationships with other Realtors to the table. A Realtor is also better equipped to market your home not only because of their database, but also their access to technology. They will know where to market your property and what price your home should be listed at. Moreover, most home searches start online, so you want to make sure you can list your property on the multiple listing service, or MLS, website. For our area, that website is har.com, and only a licensed Realtor can post your listing on that site. Make sure you ask a lot of questions when hiring a Realtor so you can be sure you’re getting a true professional. If you have any questions about real estate myths, or if you have any other real-estate related questions, please give me a call or send me an email. I look forward to hearing from you!